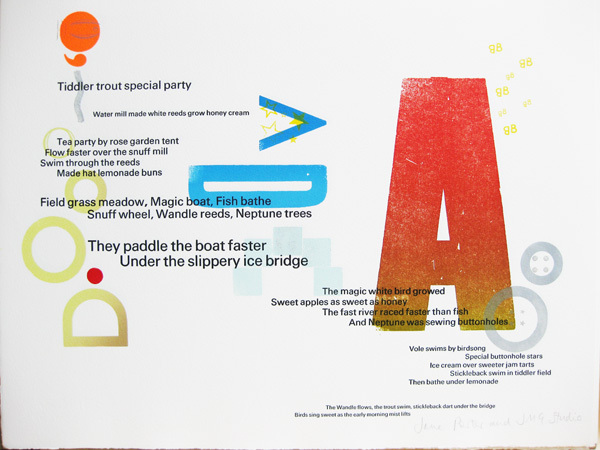 I realised I never showed the finished letterpress poster that I made with Ross and Jon from JMG Studio for the London Voices families at Morden Hall Park – so here are some details, above, including the bees made from Bs, buns and lemonade from Ds and Os, and the ice bridge and boat. 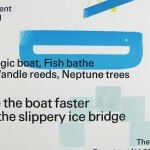 And below is the poster in full, showing all the poems the families created in the workshops earlier in the year inspired by the park and the river Wandle. 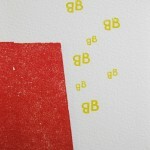 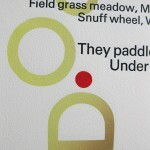 This entry was posted in River projects, Typography on July 1, 2009 by Jane Porter.